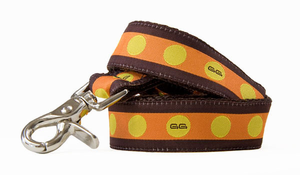 The Golden Gate boasts a strong orange background with bright yellow dots. 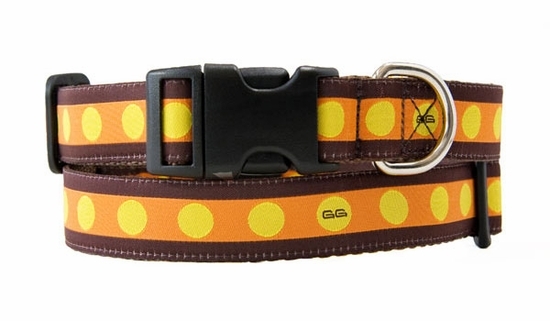 Made from durable 1/2"XS 5/8" & 1" nylon webbing with high quality nickel plated hardware. Machine wash and line dry.